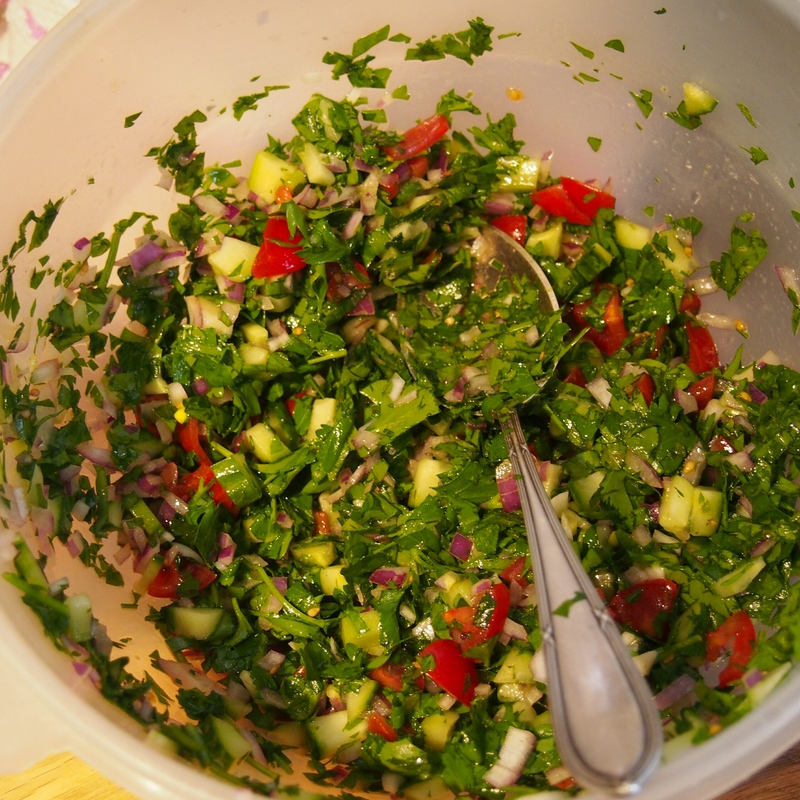 I love making this simple salad to go along side hummus baguettes, felafel pittas and couscous dishes. Its refreshing and citrusy which I love. To make it a big more substantial try mixing in a couple of cups of cooked and cooled Quinoa or Bulgar wheat. Mix all ingredients well together in a bowl and serve straight away.